Air India Air Transport Services Limited (AIATSL), a wholly owned subsidiary of Air India Ltd, has released a recruitment notification for the post of Security Agent. 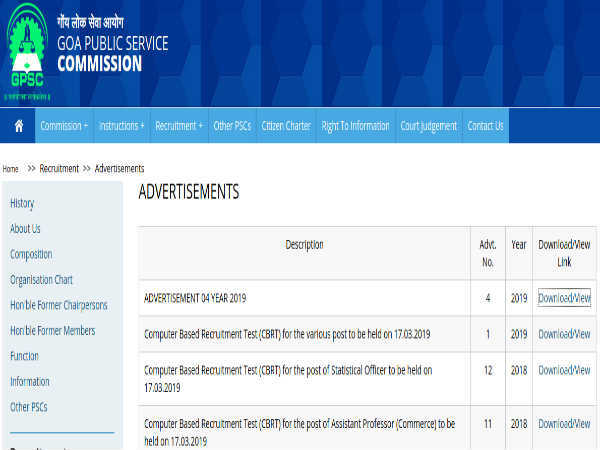 The notification was released for a total of 64 vacancies. Air India will select the candidates based on their performance in the written test and the walk-in interviews scheduled on September 29 and 30, 2018. Eligible candidates who meet all the prerequisites set by Air India will only be interviewed. The selected candidates will earn up to INR 18,360 per month excluding allowances. Candidates have to pay INR 500 as application fee. However, candidates belonging to SC/ST/ex-servicemen category are exempted from the fee payment. Candidates should visit the official website of Air India - http://www.airindia.in/index.htm. Search for the advertisement for the post of Security Agent at Goa. Click on ''Application Format'' to access the application form. Attach the list of documents required. Send the application form to the AIATSL, 1st floor, transport workshop building, Air India GSD complex, Sahar, Andheri (East), Mumbai - 400 099. Graduate with valid basic AVSEC: Air India Limited, Dempo House, Ground Floor, Campal, D.B. Marg, Panaji, Goa-403001. Graduate without basic AVSEC: Don Bosco High School, M.G. Road, Near Municipal Market, Panaji, Goa-403001.